Our Frequently Asked Question Section (FAQs) covers common questions players normally ask about an online casino. Although many gambling sites (the reputable ones at least) have a FAQs they don’t always address some of the more pressing questions. Our aim is to guide you through this section step by step, hopefully once you’ve read our FAQs you’ll have an idea what online gambling is all about. 1. 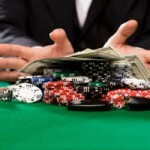 What is online gambling? It entails wagering at virtual casinos using a computer, mobile phone or Android as platform. Players use various deposit methods such as credit/debit cards, e-wallets and cheks to deposit cash at the casino of their choice. Of course, online gambling is more than just poker. A lot more. There are various forms of wagering somewhere in the Internet be it casino gambling, sports betting, bingo, horse racing, live casinos, lottery and even games of skill. 2. How do I register an account at a casino? It’s very easy to register an account. First of all you must provide the casino with a copy of your ID/Passport or driver’s license. Once you’ve registered an account you’ll see that the casino’s software is available in the ‘Instant Play’ (Flash) or the Download. Most casinos offer the instant play option. Not only does it save you a lot of time but it allows you to get in on the action immediately. The Downloadable software on the other hand offers a greater game variety and the game graphics are normally superior to that of the instant play. 3. What is a deposit bonus? To attract new clients, online casinos offer first time customers a deposit or matching bonus. These bonuses vary from 100%, 150%, 200% up to 400%. The 100% match bonus is the more popular match bonus of the lot. How does it work? If you accept the deposit bonus the casino will match your deposit with the corresponding amount. In other words, if you deposit $100, you will receive an additional bonus of $100. 4. What are wagering requirements? If you accept the deposit bonus, wagering requirements entails a certain amount of wagering before a cash out is allowed. You deposit $100, the casino gives you an extra $100 (100% match bonus). Not bad, your initial bankroll just shot up from $100 to $200. Let’s assume the play-through requirements attached to the deposit bonus is 20 times the deposit and the bonus sum. You must turn over 20x$100+$100=$4,000 before a cash out is permitted. It does not mean that you need to deposit or win $4,000. The total amount of the bets that you place must be $4,000. If you are playing Slots and betting $1 a spin, you will need to spin 4,000 times to complete the wagering requirements. Certain games contribute differently towards the weighting of the play-through requirements. For example all slots, keno and scratch card games count 100%, while table games (Blackjack, Baccarat, or Roulette) contribute 10 or 20%. The bonus must be cashable once you’ve cleared the wagering requirements, if it’s not rather leave it. 5. How many deposit and withdrawal methods are there on offer? Suffice it to say most casinos offer a myriad of deposit options. You can fund your casino account by using credit/debit cards, cheks or e-wallets like Neteller, Moneybookers (Skrill), Eco Card or Paysafecard. Pending on the deposit option used; deposits are normally instant when using e-wallets. Withdrawals via e-wallets can take anything from 24 up to 48 hours. If you use credit/debit cards it normally takes three to five business days before the cash is paid into your account. Also keep in mind that each casino has a daily, weekly or monthly withdrawal limit. For instance, a casino’s maximum withdrawal limit is $10,000 per week. You are not allowed to withdraw more than this amount from the casino per week. To speed up the withdrawal process, casino’s require a copy of your ID/Passport, driver’s license, utility bill (insurance, water and electricity bill) and a bank statement that’s not older than three months. When a player requests a charge back his/her credit card company launches an investigation. Charge back requests are normally resolved within 14 days. If an online casino has multiple charge backs this indicates that players have little confidence in the casino and it’s best to avoid it then. A charge back occurs when additional charges have been placed on a player’s credit card statement. When a player is charged numerous times for the same purchase. When the player is charged for the incorrect amount. 6. What are reputable gambling jurisdictions? Arguably one of the most important aspects when searching for a site to wager at. All accredited internet casinos are either licensed in Alderney, Gibraltar, The Isle of Man or Malta. These jurisdictions are white-listed jurisdictions. I have my reservations about Curacao, but I’ll pass the buck on this one. A casino that’s not licensed in any of these jurisdictions-avoid! Before an online casino can be licensed here they must adhere to certain criteria. They must offer some form of player protection in the event of a dispute between the player and the casino. Must offers deposit/session limits and a self-exclusion option to problem gamblers. If a player wagered more cash than he/she intended to they must be able to self-exclude themselves from the casino for a certain period to indefinite. This is the life blood of any site. The better the customer support the more reputable a casino tends to be. Most casinos can be contacted through email, Skype, live chat or telephone. We normally test a site’s customer support to see how long they take before they respond to our email query. If it’s within 6 to 12 hours it’s acceptable, anything longer than this does not deserve your business. 8. How often is a casino’s software audited? Any reputable online casino ensures that its Random Number Generator (RNG) is tested regularly for fairness and transparency. The findings from the audit report is then posted on their websites indicating the average payout percentages for the various games. 9. What are rogue casinos? These are the bad guys of the online gambling industry. Nine out of the ten times they’re licensed in Costa Rica-arguably the worst online gambling jurisdiction. How does one spot a rogue site? First of all have a look at where it is licensed. They often post bogus licenses and payout percentages on their sites. They use bogus software providers, their websites have that ”thrown-together look” plus the wagering requirements attached to their bonuses are virtually impossible to clear. 10. What is a VIP Program? VIP programs are normally reserved for loyal/regular depositors. You will receive comp points based on the amount of cash you’ve wagered within a given period. For every $10 wagered 1 comp point will be awarded, 100 comp points equals $1. Once you have accrued a certain amount of comp points they can be exchanged in lieu for cash. The casino’s VIP Program is also divided into various levels. You will advance to the next level if you have staked a certain amount of cash. Each level has its own perks ranging from cash back, faster withdrawals, special promotions, tournaments and bonuses. Most VIP Programs are by invitation only. 11. Are progressive games included in the withdrawal limit? There are casinos where progressive wins are included in the withdrawal limit. Let’s say the casino has a weekly withdrawal limit of $5,000. You manage a progressive win of $1 million. It will take ages before you receive your cash in full. If you play progressive games always find out if progressive wins are included in the withdrawal limit. If they are it’s best to avoid the site. 12. Can I play the games for free? Any casino worth its weight in gold allows its players to test the games on offer first before they play for real cash. Free games are not the real deal but they give you some insight about the casino’s software, game customization features, graphics and betting options.